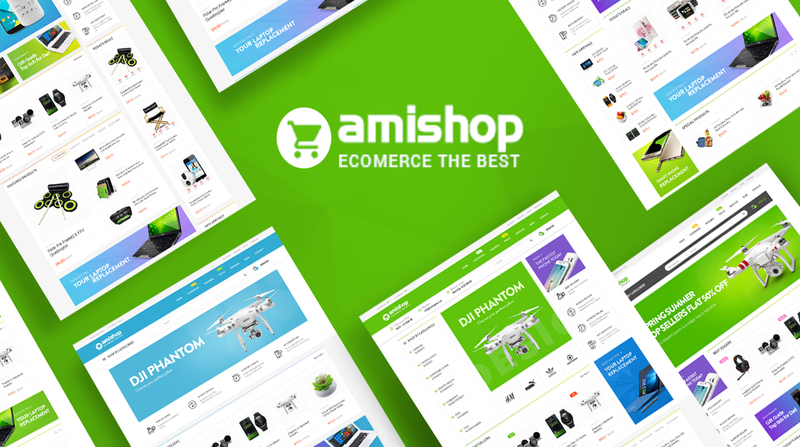 Pts Amishop is a powerful responsive digital & electronics Prestashop theme with dedicated design and functionalities. The Prestashop theme is super flexible with up to 6 pre-made unique demos with different layout system and styles, it also supports multiple header styles, supports both Megamenu and Vertical Megamenu and its built with outstanding Prestashop Drag and Drop Page Builder to build stunning pages in minutes. The Digital & Electronics Prestashop theme is easy to customize with intuitive theme control panel that includes all necessary built-in options and tools: megamenu builder, layout management, theme setting, compression, etc. The Live theme editor allows user to customize theme real time based on predefined parameters. The No hacking core prestashop codes included in the theme will help power and secure your store.